Welcome to High Five for Friday! This is my favorite time of the week, for sure. 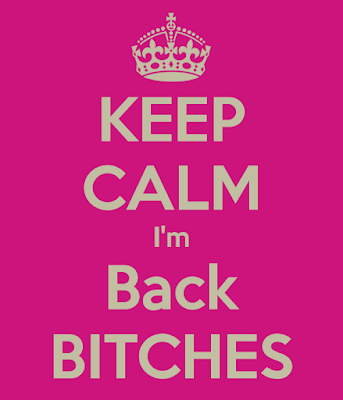 This week was all at once, exhausting, frustrating, frantic, as well as enlightening, and blessed. But I wouldn't trade it for the world, I really wouldn't. 1. My mom was one of the original (and for a long time, only) readers of this blog. I get a kick out of how much she gets a kick out of it. Earlier this week, I got this little surprise in the mail from her. 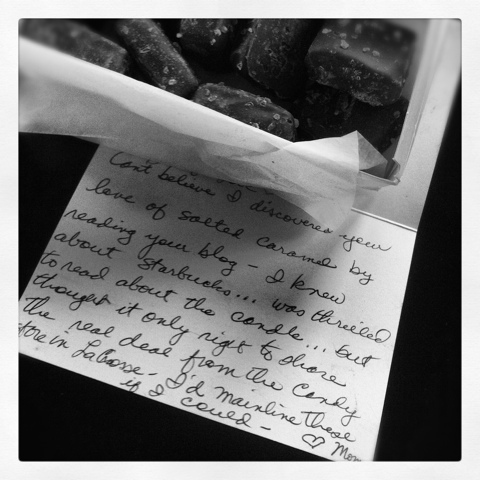 And in case you're wondering her note is referring to this post where I talk about my salted caramel candle. For the record, those salted caramels were to die for. And who's mom talks about "mainlining"? Mine. Love that. 2. 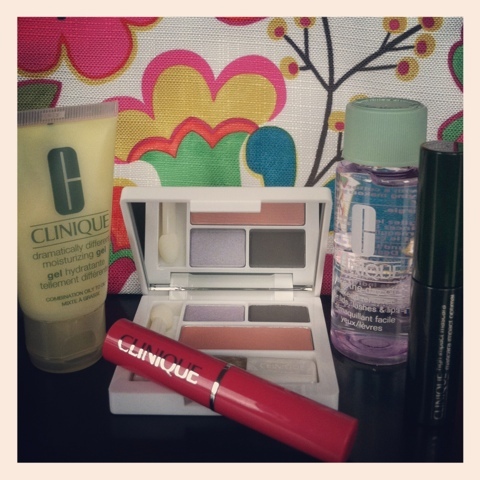 I'm a big fan of Clinique so naturally, the periodic Clinique Bonus time makes me giddy. The bonus they're currently offering with a purchase is awesome! I was so excited. The make up bag is so cute and right up my alley. 3. Keeping with the beauty product and salted caramel theme I've got going on here...I was also pumped to find out that my favorite body moisturizer from Origins, A Perfect World, also comes in an age defying facial moisturizer! Who knew? Not me! It's probably been around for the better part of decade but somehow this passed me by. Go figure. Also...after I put the moisturizer in my bag at Sephora.com a suggestion to buy a cute little tin of lip balm in a...wait for it...salted caramel flavor popped up! Obviously, I had to add that to the old shopping bag as well. Bravo, Sephora! Your clever marketing scheme worked on this sucker! 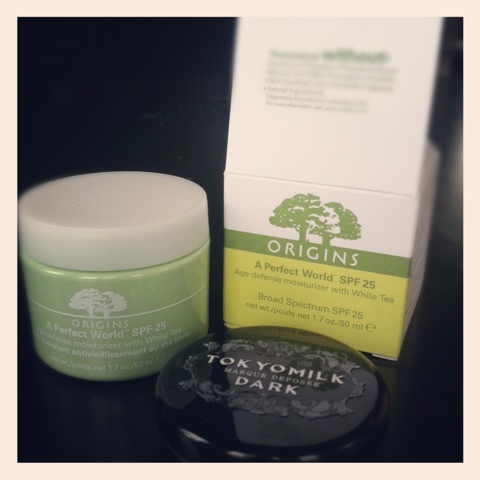 Here's a link for the Origins A Perfect World SPF 25 and the Toykomilk Lip Elixir at Sephora. There are tons of yummy flavors! 4. I'm a huge nerdy bookworm and have been since childhood. I read Gone With the Wind in third grade. I'm not even kind of kidding. So naturally, the fact that my son is turning out to be a chip off the nerdy bookworm block is pure joy for me. 5. 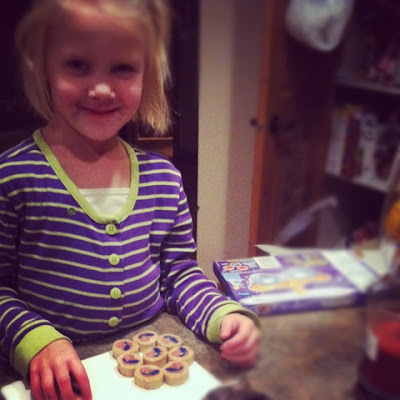 Finally, despite the frantic pace of our life around here, we still managed to make some cookies on a weeknight no less. Granted, they were the presliced Pillsbury kind with all the unnatural ingredients that you just plop on a baking sheet. But, the cool thing about kids is that they don't care. 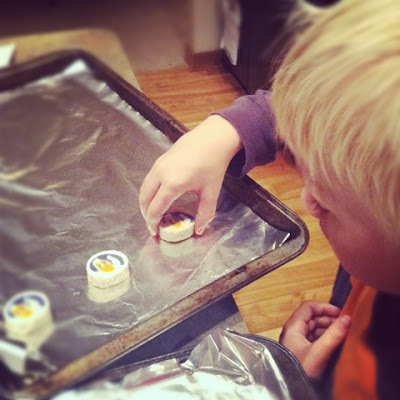 They thought getting to pick out their own box of cookies and arranging them on a sheet themselves was the greatest thing since sliced....uh, cookies. We made Cinderella ones for Miss A (obvs). And ghosts for Mr. Man. Enjoy the little things, everyone! Love origin's beauty products ! Great pictures ! Come on my blog and say hi ! I have a great giveaway going on ! My kid is a Diary of a Wimpy Kid fan too. :) Your mom is so super cute!! Have a wonderful weekend. Just stumbled across your blog & for starters, I can not believe that you read Gone With The Wind in 3rd grade! How amazing... I'm sure you impressed your teacher!! 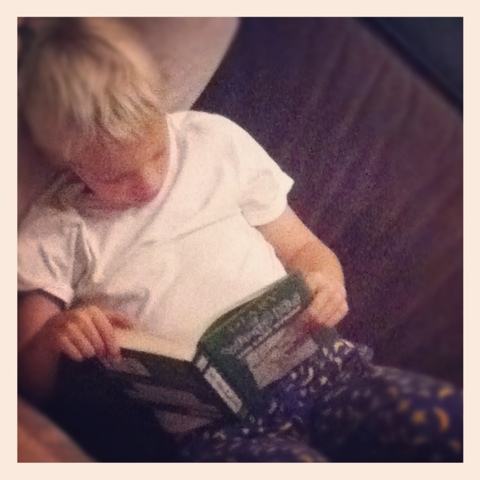 I love that your son is getting into reading and reading Diary of a Wimpy Kid! That is my students FAVORITE book!! (And I actually think it's pretty hilarious myself!) I think it's amazing that you took time out of your stressful week to do something fun with the kiddos! I'm sure they appreciated it! Love your mom's note! My first reader was my step Mother-in-law and it's hilarious that every few days my hubby would mention something from my blog (before he ever got into looking at) and I would ask how he heard that and he would mention that his step mom told his dad which in turn told him. Hilarious! First of all, your mom is absolutely THE best. I just know this. Secondly, I've just recently discovered how delicious dark chocolate/salted/caramels are. I've been missing out. Origins - I LOVE their ginger lotion. Smells like heaven. In case you have a contest for favorite blog post and I miss it, I'm voting for "This is War." I've gotten a lot of laughing mileage out of this one! I am so happy you have a fellow bookworm, I am hoping my little ones follow in my footsteps in that department too! so cute~!